The cuisine is of the highest level. And the castle is on the sand. From French to Azorean culinary. From filet steak to sushi. From the traditional chocolate brownie to cheesecake. 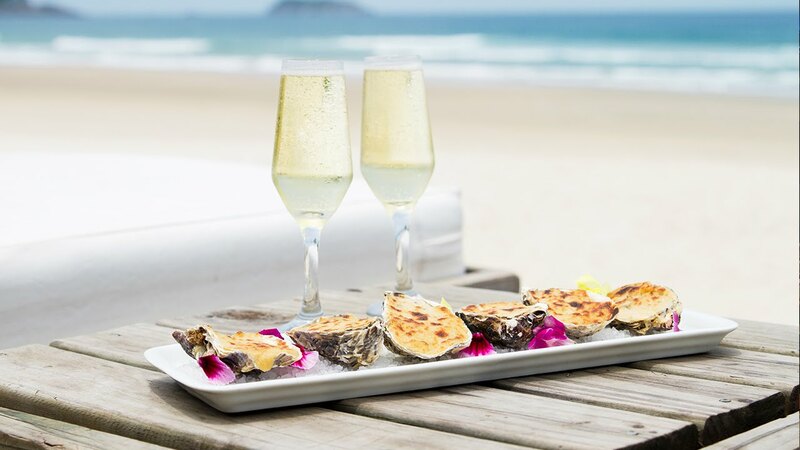 Menus according to the seasons make the gastronomy one of the most unforgettable experiences at Costão. Different islands of the most exquisite culinary form the archipelago of pleasure and delight at Nossa Senhora das Ondas. Refinement and an international gastronomy experience wait for you at one of the most sophisticated restaurants of the Island of Santa Catarina. Italy couldn’t miss a space at Costão. Appetizers, pizzas, pasta and special wines wait for you at Trattoria di Mari. Those who are fond of the Japanese cuisine can find a special place at Kaigan, our oriental food restaurant. Snacks and beverages available all day long. Visiting it after a swim is the best way to satisfy hunger! Some drinks at the pool have always been a unique experience while appreciating the Santinho views. Have a good time at Costão nights with drinks, cocktails and special recipes prepared by the most successful bartenders of the South of Brazil. A unique wine menu is available at the restaurant Nossa Senhora da Vitória, the most sophisticated of Costão. Exclusive for clients who acquire packages including this service. The following times and days may vary depending on hotel occupancy. Costão do Santinho offers a dieting personalized service at no extra cost. Este serviço atende pessoas com intolerância a glúten, intolerância à lactose, diabéticas em recuperação pós-operatória e para bebês que necessitam de alimentação especial à base de sopas e papinhas.